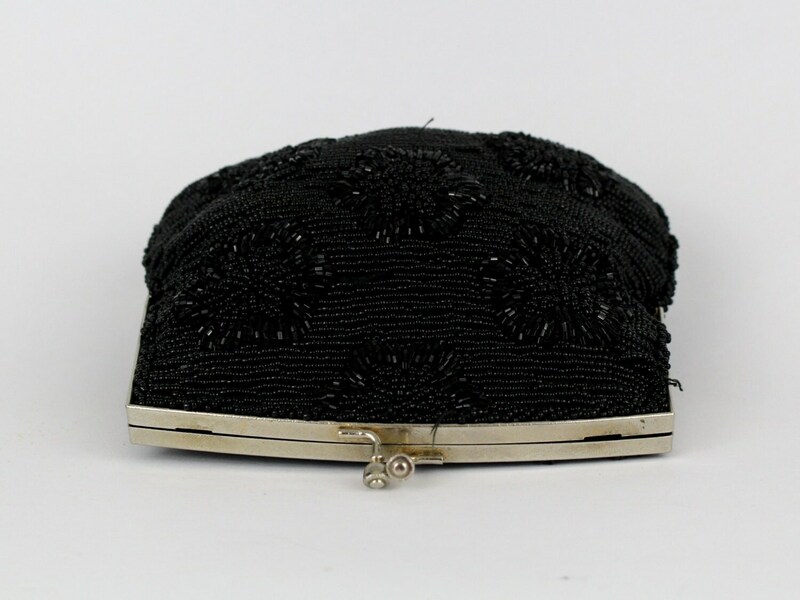 An elegant black clutch beaded in a floral patter, with a black satin lining, small open side pocket compartment, and optional chain handle. 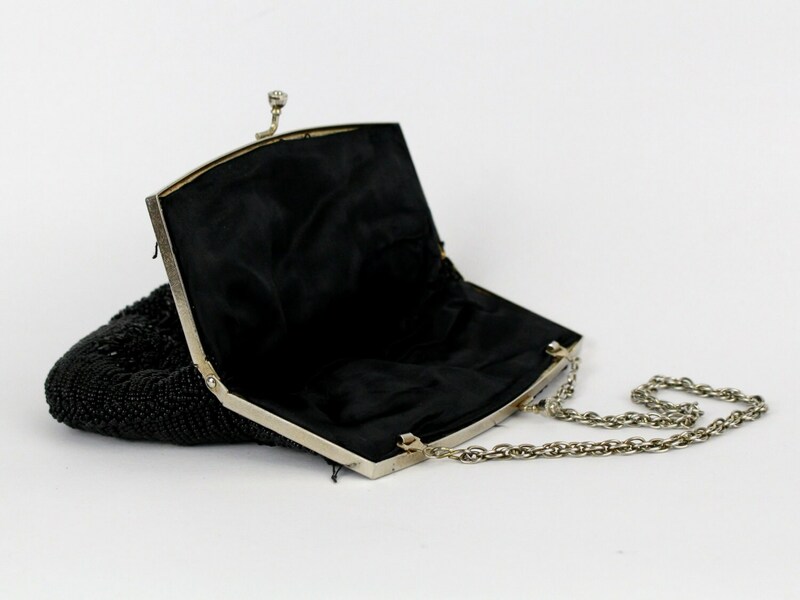 A fantastic piece for parties! Five beads missing on the back, and a few stray threads, but otherwise flawless.